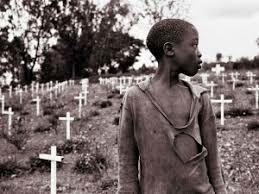 Nearly a million people, mainly Tutsi, but also those Hutu who supported power sharing and an inclusive society of any sort and were regarded as traitors, were killed in one hundred days. Many of the bodies ended up in rivers and thousands floated into Lake Victoria. Dallaire recalls a road bridge lifted from its foundations by the press of corpses; and another occasion when horrified by the realisation that he was walking across a wooden bridge built on bodies. Roadblocks were everywhere, manned by militia apparently crazed by propaganda, drink and drugs, at which people queued, resigned to probable death. Red Cross workers and their patients were dragged from ambulances and killed. And churches, particularly in rural areas, far from being places of sanctuary became slaughterhouses. Some killers had recently attended Easter Day communion services on 3 April in those same buildings. Father Athanase Seromba was later jailed for 15 years for complicity in the deaths of 2 000 Tutsi refugees in his own church. 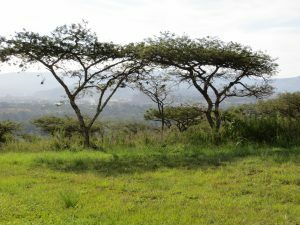 This nightmare began, twenty-five years ago, on the night of 6 April 1994, after the Mystere Falcon carrying President Juvénal Habyarimana (plus, coincidentally, the Burundi Hutu head-of-state) was shot down coming in to land at Kigali airport by two surface-to-air missiles and crashed in the grounds of the presidential palace. There were no survivors. Nor has culpability yet been established given the lack of forensic evidence. There have been continuing attempts to pin the blame on Paul Kagame and the FPR (Front patriotique rwandais), but the most plausible perpetrators are Hutu extremists in the Presidential Guard abetted by France, which was the main supporter of the Rwanda government. In many accounts the presidential murders unleashed a vicious and demented cycle of ‘tribal’ conflict, but this is far from the complete picture. The genocide had been planned months in advance and was as much political as ethnic. The background was a history of inter-communal distrust based on economic deprivation, especially land shortages, and the perceived socio-political advantages enjoyed by Tutsi Rwandans, said by some opponents to hail from Ethiopia. The Belgian colonial authorities had introduced an apartheid-style pass system as early as the 1920s that enabled discrimination against Hutus, and a population register was maintained by the post-colonial government after independence in 1962. This was despite the fact that all Rwandans speak the same language (Kinyarwanda) and the identity of many is mixed. As early as 1959 Tutsi refugees had fled Rwanda en masse and a subsequent series of pograms, then the 1973 coup, reinforced the diaspora. Many Tutsi fought in Yoweri Museveni’s National Resistance Army to free Uganda from the dictator Milton Obote; and by 1990, as the FPR under Kagame, they were ready to reclaim their Rwandan heritage by force. This failed because the French provided military backing to Habyarimana’s government and the stalemate was only broken by the Arusha Peace Accord of August 1993, which provided for a multi-ethnic government and nation. This was a direct threat to the patronage and clientelism of the Hutu elite whose propaganda campaign of scapegoating and vilification, most effectively over the airwaves from RTLM (Radio Télévision Libre des Mille Collines), portrayed the returning English- and Swahili-speaking Tutsi as intending to re-establish a feudal society under a monarchy. This hate speech was designed to obscure the corruption and looting by northern Hutu in particular. A sinister force – Hutu Power in which Habyarimana’s family was implicated – infiltrated the army, police, political parties and the Presidential Guard. Militias, the Interahamwe and the Impuzamugambi (of the overtly fascist Coalition pour la défense de la république), were secretly trained in methods of mass murder able to kill a thousand people in twenty minutes. Arms caches were numerous. This was known to the UN long before April 1994 and probably to the CIA in late 1993. And the muscle was backed by relentless propaganda, most prominently from RTML, about the inyenzi or Tutsi cockroaches, who had to be dealt with. This in turn built upon a long-term catechism of anti-Tutsi hate, a national sickness that the novelist Gil Courtemanche counterposed with the contemporary epidemic of HIV/AIDS. The intentions of Hutu Power – another final solution – could not have been more clearly signalled to the nation and the world. Its enforcers, the militias, were the direct responsibility of high-ranking politicians and officers like army commander Théoneste Bagosora, now serving a 35-year sentence for genocide, who was also present at the murder of ten Belgian soldiers. Oxfam was the first organisation, on 24 April 1994, to use the term genocide publicly. This was indeed Africa’s Holocaust, a pre-industrial version implemented with machetes and clubs rather than gas ovens. Extermination was the objective with the killing of children, boys in particular, a priority to prevent the creation of another diaspora awaiting its eventual return. Lists of Tutsis and Hutu moderates were compiled. Documents in the hands of individuals and the authorities were destroyed: ‘human beings were erased from humanity’, as Dallaire grimly puts it, as if they had never existed. The country was strewn with unidentifiable dead bodies eventually bulldozed into mass graves. The planning, nevertheless, fails to explain the moral vacuum in which neighbour could kill neighbour in such numbers over such a long time span. Well-educated people became génocidaires. 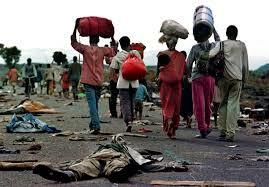 The genocide slackened only with FPR occupation of Kigali on 4 July 1994. But Kagame had played a cynical, ruthless and calculating game, encircling the city rather than employing a frontal assault that could have prevented thousands of civilian deaths. The United States quibbled about the definition of genocide; and the French played a duplicitous role returning in June 1994 to supervise the refugee Hutu and Interahamwe withdrawal into Zaire. Aid agencies effectively sustained camps in Tanzania and Zaire where militia maintained a reign of terror. And the UN mission staggered on grossly under-equipped and over-stressed, its parent body enfeebled by bureaucracy. It was hardly humanity’s finest hour. Rwanda was perceived at the time (although perceptions were to change) as an obscure African nation of little strategic consequence compared with contemporaneous crises in the Balkans, Somalia, Mozambique, Haiti and Cambodia. And there was good news coming out of South Africa. Dallaire and his mission remained convinced that a properly equipped and authorised UN force could have defeated the militia, a rabble whose strength was political not military, and prevented genocide. The sequel, an outcome of sins of commission and omission, was Africa’s Great War, in an inversion of the European experience: the conflict in the Great Lakes region of 1999 to 2003 that consumed another four million lives and led to a further refugee problem that extends to this day as far as South Africa. It was preceded and accompanied by claims of a second genocide, this time of Hutu, but this is total myth. The FPR, particularly its more recent recruits, committed atrocities, often after witnessing the sickening aftermath of massacres, but this was indiscipline, not the planned and systematic extermination employed by Hutu Power. Rwanda, ironically, is now one of the most stable and successful, although not democratic, nations in Africa. English has replaced French as an official language. No genocide is possible without the participation of people who otherwise appear to be ordinary citizens. A theology of hate, of othering and marginalisation was rife in Rwanda prior to 1994. Yet, this can be found almost everywhere today where right-wing populism, backed by sinister and rigid ideologues, is on the rise. Its propaganda may not be as blatant as that of RTLM, but fake news is simply a softer version designed to create prejudice and distrust to establish lies as ‘alternative truth’. The terms ‘treason’, ‘betrayal’ and ‘agent’ are bandied about with impunity; and ‘cockroach’ has surfaced in South Africa. Those committed to democracy and human rights continue to ignore, in misplaced hope and apathy, the clearly expressed violent intentions of extremists.